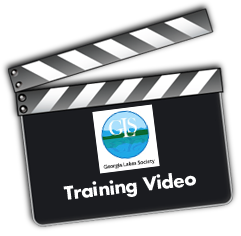 Georgia Lakes Society is planning the production of a short video to supplement the Adopt-A-Lake training program. GLS, in cooperation with the Adopt-A-Stream program of the Georgia Department of Natural Resources Environmental Protection Division, initiated the Adopt-A-Lake program to coordinate statewide the monitoring of lakes and ponds throughout Georgia. This combined effort between a non-profit organization and state agency draws on the strengths of both groups. The program is designed to promote citizen involvement in learning about and protecting lakes by offering a range of responsibilities and activities. We need your help in putting together a high-quality, professionally produced training video. This video will succinctly summarize a variety of information relating to lakes, ponds, reservoirs, and water quality issues, including the parameters Adopt-A-Lake measures and records. If you or someone you know can shoot, edit, direct, or otherwise help produce this video, we would love to hear from you. Similarly, if you can help financially sponsor this production, we would love to feature your sponsorship within the video itself. Please drop us a line with your level of interest, or if you know people we might contact in this endeavor.